Cognitive Hyperconnected Digital Transformation provides an overview of the current Internet of Things (IoT) landscape, ranging from research, innovation and development priorities to enabling technologies in a global context. 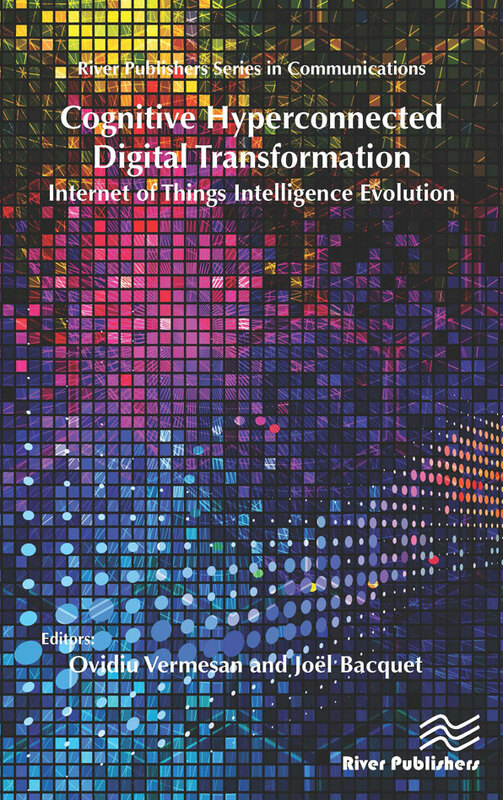 It is intended as a standalone book in a series that covers the Internet of Things activities of the IERC-Internet of Things European Research Cluster, including both research and technological innovation, validation and deployment. 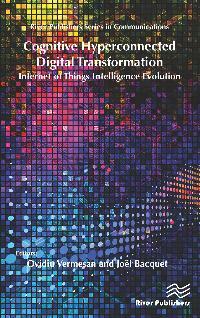 The book builds on the ideas put forward by the European Research Cluster, the IoT European Platform Initiative (IoT-EPI) and the IoT European Large-Scale Pilots Programme, presenting global views and state-of-the-art results regarding the challenges facing IoT research, innovation, development and deployment in the next years. Hyperconnected environments integrating industrial/business/consumer IoT technologies and applications require new IoT open systems architectures integrated with network architecture (a knowledge-centric network for IoT), IoT system design and open, horizontal and interoperable platforms managing things that are digital, automated and connected and that function in real-time with remote access and control based on Internet-enabled tools. The IoT is bridging the physical world with the virtual world by combining augmented reality (AR), virtual reality (VR), machine learning and artificial intelligence (AI) to support the physical-digital integrations in the Internet of mobile things based on sensors/actuators, communication, analytics technologies, cyber-physical systems, software, cognitive systems and IoT platforms with multiple functionalities. These IoT systems have the potential to understand, learn, predict, adapt and operate autonomously. They can change future behaviour, while the combination of extensive parallel processing power, advanced algorithms and data sets feed the cognitive algorithms that allow the IoT systems to develop new services and propose new solutions. IoT technologies are moving into the industrial space and enhancing traditional industrial platforms with solutions that break free of device-, operating system- and protocol-dependency. Secure edge computing solutions replace local networks, web services replace software, and devices with networked programmable logic controllers (NPLCs) based on Internet protocols replace devices that use proprietary protocols. Information captured by edge devices on the factory floor is secure and accessible from any location in real time, opening the communication gateway both vertically (connecting machines across the factory and enabling the instant availability of data to stakeholders within operational silos) and horizontally (with one framework for the entire supply chain, across departments, business units, global factory locations and other markets). End-to-end security and privacy solutions in IoT space require agile, context-aware and scalable components with mechanisms that are both fluid and adaptive. The convergence of IT (information technology) and OT (operational technology) makes security and privacy by default a new important element where security is addressed at the architecture level, across applications and domains, using multi-layered distributed security measures. Blockchain is transforming industry operating models by adding trust to untrusted environments, providing distributed security mechanisms and transparent access to the information in the chain. Digital technology platforms are evolving, with IoT platforms integrating complex information systems, customer experience, analytics and intelligence to enable new capabilities and business models for digital business.